Castle Wind LLC has initiated development of a commercial scale offshore wind farm off the coast of Pt. Estero, California with a grid connection in Morro Bay. The project is planned for a 1,000 MW net capacity. The final wind farm net capacity will be determined at a later date and will depend on the offshore site area, access to transmission capacity and market off-take demand. 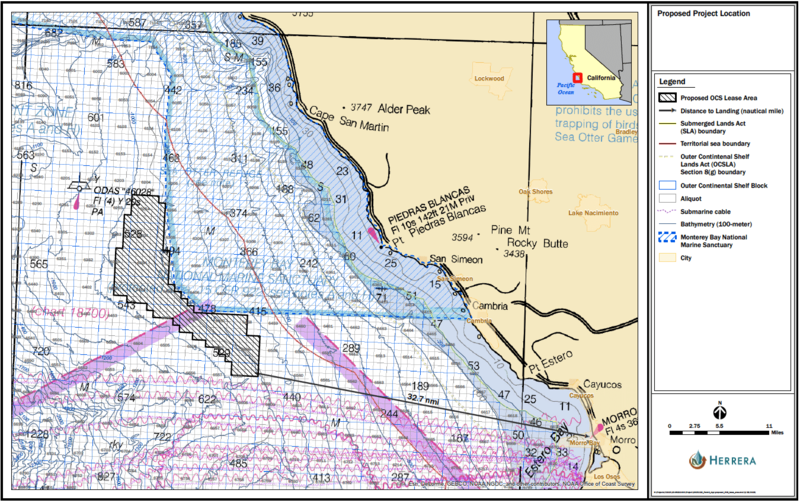 Castle Wind Offshore (CWO) will consist of approximately 100 floating offshore wind systems (FOWS) that will harvest the vast offshore wind resources for the benefit of the California electric consumers. Each FOWS will consist of a commercially available floating support structure and a large offshore wind turbine generator (OWTG) with a nameplate capacity greater than 8MW. Each FOWS is moored to the ocean floor using conventional properly sized, vertical load, drag imbedded, or torpedo anchors, a technology that requires no piling and is well suited for deep and variable seabed conditions. The installation is completely reversible, i.e., no permanent infrastructure is left on the sea bed upon decommissioning and performed with minimal acoustic disturbances. Individual FOWS are electrically interconnected with inter-array cables to form an offshore wind farm. The exact number of FOWS will be defined at a later date as it will depend on a) confirmation of the available capacity in the California Independent System Operator (CAISO) transmission lines, and b) the nameplate capacity of the selected OWTG. The competitive selection of the floating support structure supplier will be conducted in parallel with the development of the Site Assessment Plan; while competitive selection of the OWTG supplier will be conducted during Construction and Operation Plan development. The CWO wind farm is planned to be located over 30 miles offshore, taking advantage of a consistent wind resource with an average speed of 8.5 meters/sec. The proposed site location is in a vicinity of the ODAS buoy 46028. Based on over 27 years of data from the buoy, the expected energy generation from the offshore resources could surpass 50% capacity factors. The CWO site is planned to be located in a 2,665 – 3,608 feet (800-1,100 meters, or 1,464 – 2,013 fathoms) water depth approximately. Each FOWS is spaced approximately 3,300 feet (1,000 meters, or 0.54 nmi) apart to reduce, or eliminate, the wind shadow effects. 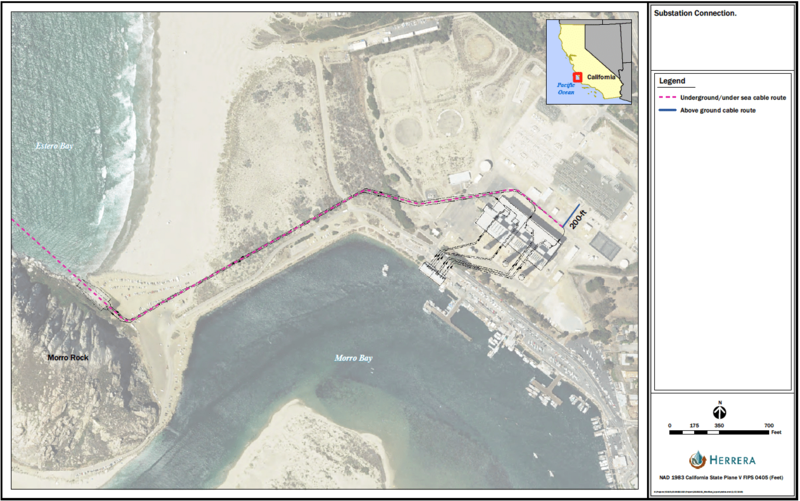 Energy produced from all FOWSs is brought to an offshore, floating substation and delivered to shore via one or more (for redundancy purposes) export cable(s) using the same cable route and connecting to the Morro Bay substation. The mayor and harbour master tell how the offshore windfarm EnBW Baltic 1 generates jobs and income for their community. And of their pride that green electricity is generated just on their doorstep. Castle Wind LLC was established by companies with decades of experience in the electric power industry, project development, offshore wind projects operation and maintenance, and project financing.